In its recent non-precedential Memorandum Opinion in the case of Magaskie v. WaWa, Inc., PICS Case No. 15-1877 (Pa. Super. Dec. 10, 2015 Gantman, J.)(mem. op. 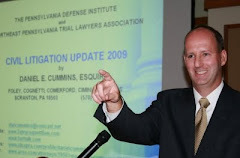 ), the Pennsylvania Superior Court affirmed the entry of summary judgment under the Hills and Ridges Doctrine. The Plaintiff alleged that he slipped and fell on a patch of ice in the parking lot of the WaWa store. The jury returned a defense verdict at trial after finding that the Defendant was not liable for the Plaintiff’s slip and fall. On appeal, the Plaintiff asserted that the trial court erred in failing to give an “isolated patch of ice” exception instruction to the Hills and Ridges Doctrine. The other error complained on appeal did not pertain to the Hills and Ridges issue. The Superior Court affirmed the trial court’s ruling that the Plaintiffs were not entitled to an instruction for the “isolated patch of ice” exception as the mere existence of a harmful condition in a public place of business was not per se evidence of a breach of the landowner’s duty of care owed to invitees and did not otherwise raise a presumption of negligence. Under the Hills and Ridges Doctrine, the Court also found that, because a snow storm had hit the area several hours prior to the slip and fall, the community was experiencing generally slippery conditions. Also, there is no evidence presented or witnesses to testify as to the existence of any patches of ice such that an instruction for the isolated patch of ice exception was not appropriate. In other words, the Court found that the occurrence of a snow storm several hours prior to the Plaintiff’s slip and fall created generally slippery conditions in the community that negated the application of the isolated patch of ice exception to the Hills and Ridges Doctrine. The Court also found that, in any event, the Plaintiff failed to establish that the landowner had any actual constructive notice of the ice. If you wish to review this unpublished non-precedential memorandum opinion in Magaskie, please click this LINK. Although non-precedential, perhaps this case can serve to kickstart your research in a Hills and Ridges Case where there is a claim that the isolated patch of ice exception applies.